Preventative maintenance and service are essential to product performance and longevity. 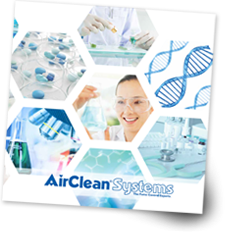 AirClean® Systems customer service representatives are waiting to assist you. To schedule a maintenance check or to report issues please fill out the form below. A service technician will contact you shortly to answer questions and resolve any issues you may have. For immediate attention or if this is an emergency please dial +1 (919) 255-3220 or toll-free at 800-849-0472 during normal business hours. We appreciate your business and look forward to continuing to serve you.